I had a ball shopping for summer dies. so what could a girl do but buy them...LOL! 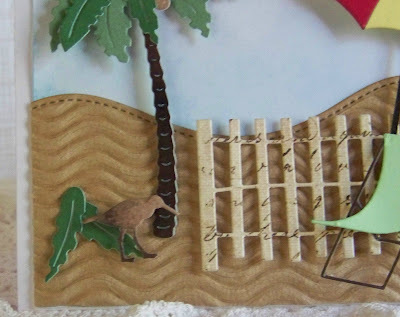 I have to say I love this beachy scene! and look at that detail. It is Frantic Stamper Tall Palm Tree With Fronds. I even added a few "fallen" fronds under the tree! to choose from...I kind of want them all! Next I added Impression Obsession Beach Fence. Then came a really neat Impression Obsession Beach Umbrella. to sit on under it, so I added PoppyStamps Canvas Beach Chair. Make sure to visit Monday -Friday to see what is new to inspire you each day! 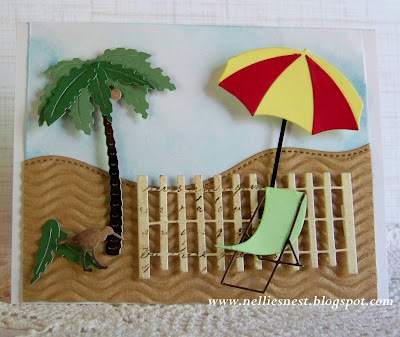 Visit and enter our Dies R Us Challenge blog too....we have a winner every time!